The Jardin Botanique de Montréal features some of the most beautiful grounds in the city. A haven with almost 200 different bird species, a fox family, and 22,000 types of plants, flowers, and trees, the Montreal Botanical Garden is more than a summer tourist destination, it's a refuge for locals needing a break from city life. It's a year-round attraction featuring some of Montreal's most popular annual events, including Butterflies Go Free and Gardens of Light. The gardens also share space with the Montreal Insectarium, a family-friendly museum filled with live scarabs, tarantulas, and scorpions as well as thousands of different arthropods. This haven for the harried urban dweller and tourist destination has different hours depending on the season and is open many holidays. Closed December 25 and December 26. Open New Year's Day, Good Friday and Easter Monday. Save money and pay less on admission fees with the Accès Montréal card. 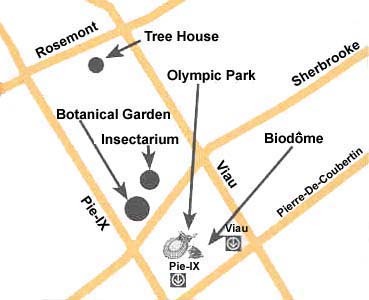 The Montreal Botanical Garden admission grants complimentary access to the Montreal Insectarium. Parking is $12 for the day, less for half-days and evenings. For visitors intent on saving money on parking, try finding a free neighborhood parking spot just North of the Botanical Gardens, near the Treehouse/arboretum entrance on Rosemont, in between Pie-IX and Viau, such as up on 29th Avenue. It's further away than parking in the designated lots though: factor in a 10- to 15-minute walk to get to the main gardens. To get to the gardens using public transportation, get off at Pie-IX Metro on the green line. The Olympic Stadium will be in plain view upon exiting the Pie-IX Metro station. Walk uphill on Pie-IX Boulevard past the stadium until you reach the corner of Sherbrooke. The garden gates should be visible across the street. Here's a map of the area. For directions by car, call (514) 872-1400 for more information. The Montreal Botanical Garden is quite a ways removed from the downtown core, but it's in close proximity to a smattering of popular attractions that can keep tourists and residents busy the entire day. Sharing space with the Montreal Insectarium, the gardens are a brief walk from the Olympic Park, the Montreal Biodome's five ecosystems—think climate-controlled rainforest in the dead of winter (the Biodome is closed until mid-2019)—and the Planetarium. 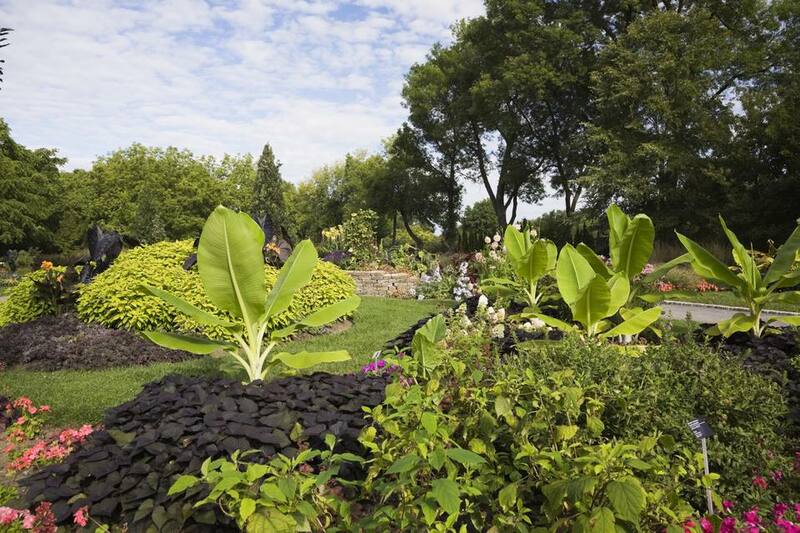 Though the Montreal Botanical Garden is a major city attraction, it's not centrally located. Choice hotel accommodations are located closer to downtown like Montreal's top boutique hotels or in Old Montreal.